CHANGING TIMES: Some of the images on display. By courtesy of the Coffs Harbour Regional Museum. QUIRKY post cards, an early metal esky and banana packing cases and stencils - these are just some of the things on display at the Coffs Harbour Regional Museum as party of their current display - Bananas to Beautizone. Curator Joanna Besley said the summer holiday exhibition explored how the experience of summer changed in the Coffs Coast region. 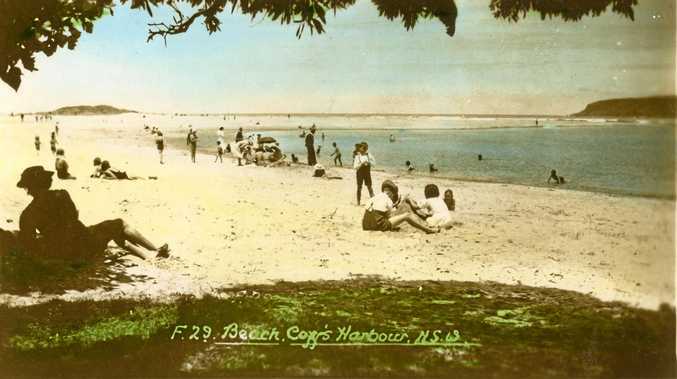 Jo said in the first half of the 20th　century, summer was a time of hard work for many residents of the Coffs Coast. Tropical fruit was one of the mainstays of the local economy and it ripened in the summer months. Growers, labourers and carriers laboured in the heat to get crops picked, packed and transported by rail to capital city markets. "However in the 50s and 60s there was a shift from horticulture and the picking of tropical fruit to tourism," she explained. After the Second World War however, the local business community recognised the potential of tourism as a major industry for the region. The late 1950s and early 60s were a boom period. "A Mid North Coast Tourist Authority formed in 1956 and the area was christened the "Pacific Beautizone", the catchy title chosen as the winner from over 1400 entries in a competition to name the area from Grafton to the Nambucca," Jo said. The two industries were sometimes in conflict. Promoters of the Beautizone, for example, were not in favour of the Big Banana and the idea of agri-tourism, they wanted to promote sun, surf, relaxation and the natural assets of the area. To them, a giant artificial banana was not a thing of beauty - it was something that "might be seen in Hawaii or Queensland" they complained. 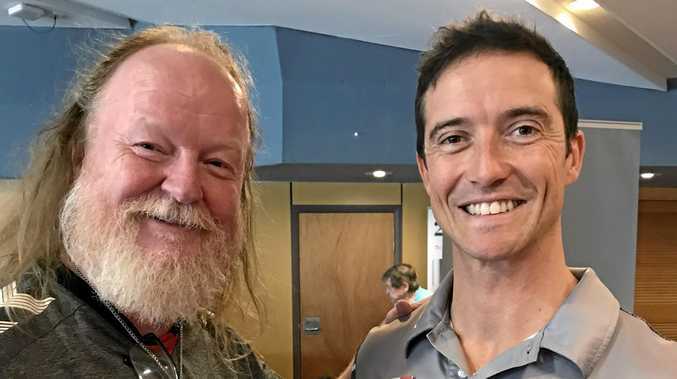 Jo said it was American John Landy, who had bought a farm in the area, and had seen the rise of road-side attractions in his country who convinced local Banana farmers to back the giant fruit. The Big Banana opened in time for Christmas 1964 and was an immediate success. In its first week of operation there were 2000 visitors each day. Jo said the The Mid-North Coast Tourist Authority and the concept of the "Beautizone" went with it - though there are still some businesses from Grafton south who still use it. The had in fact shut down a few months earlier. The concept of the Beautizone went with it. Bananas to Beauty zone will be on display until March 16.